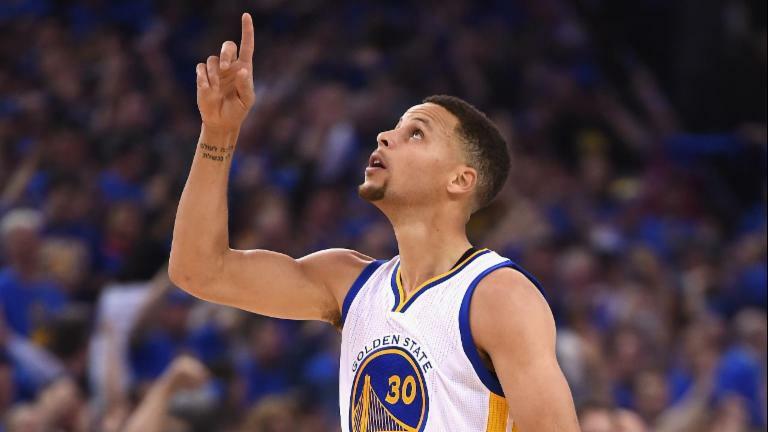 The Golden State Warriors have looked fine while Stephen Curry recovers from a sprained MCL, finishing off the Houston Rockets in the first round and winning Game 1 of the second round against the Portland Trailblazers. But that doesn't mean they won't welcome him back as soon as he's ready. And that could be sooner than expected. In an in-game interview with ESPN during Sunday's Game 1 against the Blazers, Curry said he thinks his chances of playing Game 3 on Saturday are "pretty good." "To me [the chances of playing Game 3] are pretty good," Curry said. "I'll do everything I can this week to make that happen." Curry, however, did give some updates on his status and recovery, and it doesn't sound like a done deal yet. "I've got pretty much the full range of motion back. It's still painful, but for the most part I can get on my feet and start to do basketball activities that will get me back right to a playoff atmosphere." Curry noted he hasn't started running yet, but that could happen on Monday. When Curry was diagnosed with the MCL sprain, the Warriors said he would be re-evaluated in two weeks. That didn't mean he would necessarily return in two weeks. Later, ESPN's Brian Windhorst said he believed the Warriors were thrilled with Curry's prognosis and that he could return sooner. Curry admitted that same optimism last week. The Warriors obviously won't rush Curry back, particularly with the way the team has been playing without him. With just 39 minutes in the playoffs so far, Curry will likely need some time to get back into shape, and there's no point in pushing him out there if his knee isn't 100%. Either way, it's good news for the Warriors that they're handling business without him, and that his return could be around the corner.